As the year is drawing to a close, the industry witnesses a powerful surge of technological disruptions, especially in the startup ecosystem. One of the largest sectors of this ecosystem, healthcare, is progressing exponentially through acknowledging innovations such as big data, artificial intelligence (AI), and more. With the advent of digital health, organizations today are seeing the prioritization of medical processes via digital platforms more than ever. In fact, a lot of enterprises have already started capitalizing on digital interventions to drive better health outcomes and empower patients to manage problems that are either acute or chronic. Patients can now track their sugar levels and blood pressure via wearable monitoring devices and pass on the information to their clinicians digitally. Meanwhile, with the rise of aging Baby Boomers, healthcare organizations are on the go participating in Medicare and Medicaid where there is an ever-growing move towards nationalizing health data records of this demographic. 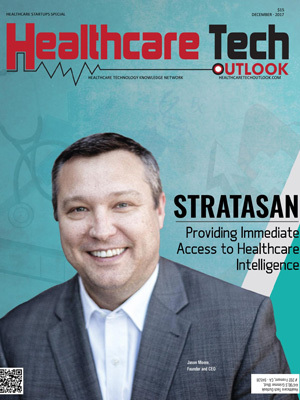 In the same vein, small medical practices are coming to grips with electronic health records (EHR) adoption trends which have major cost savings, particularly in the area of staffing that in turn will easily balance the expenses on cloud-based storage. More importantly, this transition from manual to electronic acts as the optimum user interface for patients to access their records thereby delivering an intuitive customer experience. What’s more, it brings in the potential to generate the follow-up service that ensures updates of the latest technology and security measures. Enterprises striving to mount higher in the healthcare value chain look for the best solution providers. To help CIOs negotiate this burgeoning landscape, Healthcare Tech Outlook’s distinguished panel of selectors, comprising CEOs, CIOs, VCs, industry analysts, and the editorial board have enlisted the premier healthcare startup solution providers imparting best-of-breed solutions to facilitate the current needs of the industry. The listing offers a view regarding how these solutions are leveraged, thereby letting you gain a deep insight as to how they will optimize businesses.